Crispy on the outside, soft and chewy on the inside. We all know liver is a favorite among dogs but did you know many like the sweet nutty taste of barley? You can substitute another flour but this is a tasty twist your dog will devour! Can't stand the smell of liver? A trick is to place it in a covered container with about 2 tablespoons of apple cider vinegar and refrigerate overnight. This will release toxins that were stored in the meat and remove some of the pungent liver smell. Also, be sure to rinse your utensils as you work! When liver dries, it's sooo hard to remove. Puree the liver with the broth or stock. Add the remaining ingredients and thoroughly mix. Make small balls with a cookie scoop or your hands. Place on parchment lined baking sheet and bake at 340 degrees for 25 minutes. These are soft on the inside so treat as with any bakery product watching for mold and spoilage. They should keep in an air tight container on the counter for about a week or freeze for up to two months. 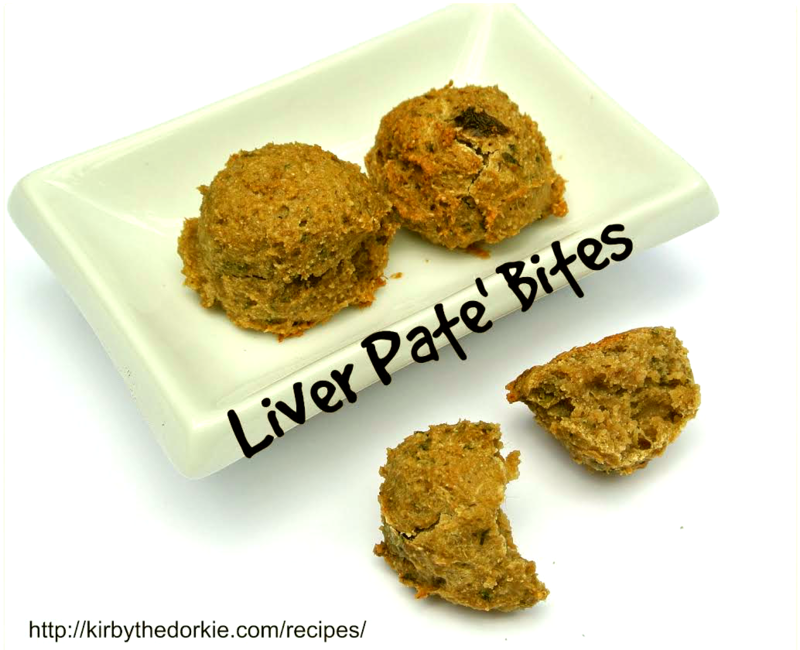 What do you think of this tasty liver-flavored dog treat? Let us know in the comments!